“It was nothing to see a kid with a skull under his arm...no respect (in) them days...,” recalls long-time North Melbourne resident Charlie Webb, after the exhumations and closure of the Old Melbourne General Cemetery in 1922. He says skulls even found their way into "Martin's Paddock" at the back of the North Melbourne football ground. In 1836, Melbourne mourned a child named Willie Goodman, the first of many tragic young deaths. Services such as sewage and rubbish disposal could not match rapid population growth and disease spread swiftly. Our fledgling city's first dead were interred at Burial (now Flagstaff) Hill, but this site soon proved inadequate. Thus, in 1837 the Old Melbourne General Cemetery opened on what is today part of the Queen Victoria Market. It closed 30 years later, with a Bluestone foundation and cast-iron fence erected by subscription two years later in 1869. This rectangular cemetery occupied 10 acres (4.05 ha), the size of a city block, bounded by Queen, Franklin and Peel Streets. Its length of 834 feet (254.2 metres) pointed north in sympathy with the plan of the City streets. Its width was 540 feet (164.6 metres). Consistent with Melbourne's layout, the cemetery was lined with avenues of elms and paths formed borders between each denomination. As Port Phillip (as it was then known) was a 'free' settlement, convicts were buried in the northern end of the cemetery in 'no man's land'. By 1877, the Victoria Market encroached on the cemetery; so it contracted, taking part of the Jewish and all the Quaker ground. The Aboriginal area was seized in much the same manner as their counter-parts were deprived a generation prior by white settlers. 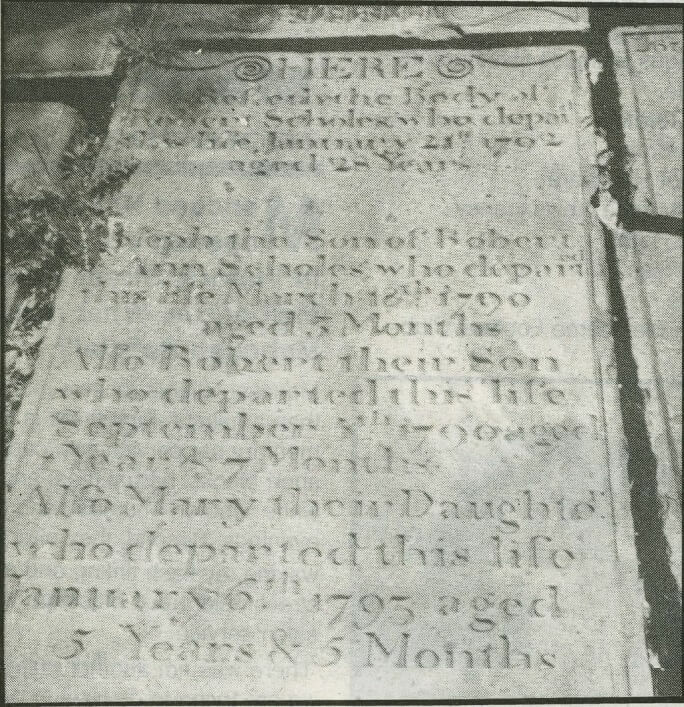 John Batman was buried in the Old Melbourne Cemetery in May 1839, four years after his famous land 'exchange' with the Yarra Aborigines. When historians rediscovered his grave 40 years later, a monument was built and unveiled on 3 June 1882. Attending that ceremony, we would have beheld avenues of shady elms lining tranquil paths, memorials ranging from rough redgum markers to the most lavish works of local masons and a Hebrew prayer house on the Jewish ground. Welsh, Irish or Scottish Gaelic epitaphs or Hebrew names would remind us of our mortality and sorrow for those who died so young in the new settlement, especially the many in unmarked plots. John Minton, 77, a lifelong resident of West Melbourne, vividly remembers protests against the exhumations. He recollects a distressed elderly woman weeping at the front gate of the cemetery because her husband was buried there, and she worried about the grave. Sentiment was strong, but progress and real estate values were stronger, exhumations began in February 1922, with Church of England graves exhumed last. Unfortunately, the burial records were “suspiciously” lost. Many sites remained anonymous, with 434 headstones recovered and some 900 names identified. The remains of John Batman, and those of Melbourne's pioneers, were re-interred in the Old Pioneers section of the Fawkner Cemetery. Mr Ron Curly, former head of the Cemeteries Section of the Health Department, said if the exhumation of a cemetery occurred today, there would be public outcry. People view cemeteries differently today. Citing past instances, Mr Curly mentioned: • Point Gellibrand Cemetery had 930 bodies exhumed in 1899 after 10 years of legal proceedings. The licence for exhumation was granted by the Solicitor General on 26th October 1898. The Board of Public Health advised against exhumation in hot weather and a Mr T Lonsdale, funeral director, supervised the 73 trips needed to transport the bodies to the Williamstown Vault; • Yarram Cemetery was established in 1848 and closed in 1904. In 1912, 79 bodies were moved to the new cemetery at Yarram. An act of Parliament in 1911 vested the land in the Shire of Albertan. With the bodies removed, the land was to be used "for pleasure grounds or a place of public resort or recreation". The site is partly where the Yarram Bowling Club now stands. He added that Melbourne General Cemetery could not suffer the same fate as the Old Melbourne site, as there are at least 250,000 bodies, an average density of 1000 bodies per acre. Per plot there is an average of 2.5 bodies, a "sheer impossibility" to effect removal. Graves are protected by Section 48 of the Cemetery Act of 1958. The only way exhumation could take place is by warrant on the order of the Coroner or by licence issued personally by the Minister. Regarding preservation, a spokesperson for the City of Melbourne said conservation was based on architectural, historical and local significance. Cemeteries are of conservation or heritage value if they are linked to the city's early history. If John Batman were buried at an inner-city cemetery which still existed, that place would be protected by the strongest controls. Moreover, as the graves belonged to pioneers of this city, it would be a shrine to the founders of Melbourne and thus a major tourist attraction. The spokesperson added that Victoria Market is itself an historical precinct and is being restored to its Victorian grandeur. As part of the restoration, an area would be set aside to tell the Market's history, with the existence of the Old Melbourne Cemetery on that location certainly being mentioned,. by James A Long, December 1998.